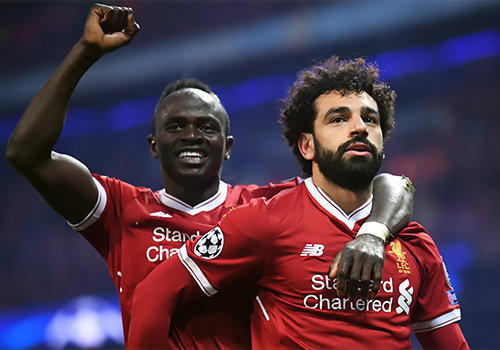 Sadio Mane could match a feat last achieved by Steven Gerrard for Liverpool if he scores in tonight's Champions League clash with Paris Saint-Germain at Anfield. For details on this and much more, read on for our pre-match stat pack. The Senegal forward has netted 10 times in his last nine European outings, including one in each of the Reds' last three continental fixtures. 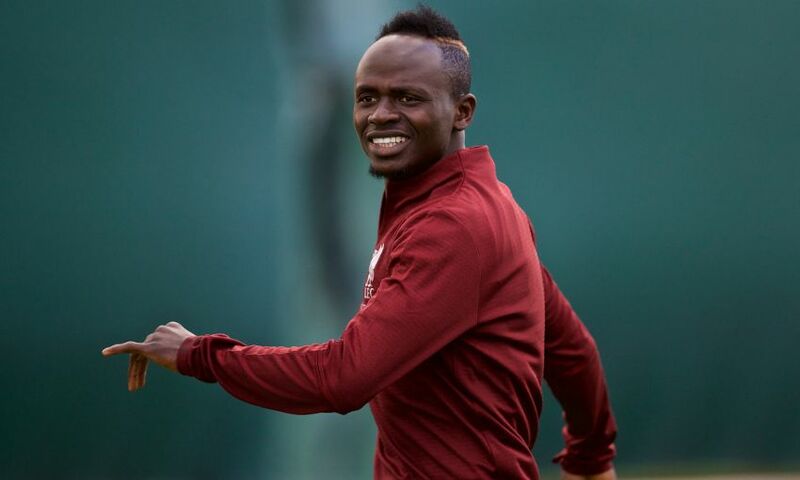 Should Mane also find the target this evening, he will become only the fifth different Liverpool player to score in four successive matches in Europe - and the first since Steven Gerrard did so in five during the 2007-08 season. PSG are one of 10 French teams that Liverpool have faced in Europe. The two clubs have only met once before in continental competition, in the semi-final of the Cup Winners' Cup in 1997, when Les Parisiens prevailed 3-2 on aggregate. PSG won the first leg 3-0 at home with LFC goalscorers Robbie Fowler and Mark Wright securing a 2-0 victory in the return leg. 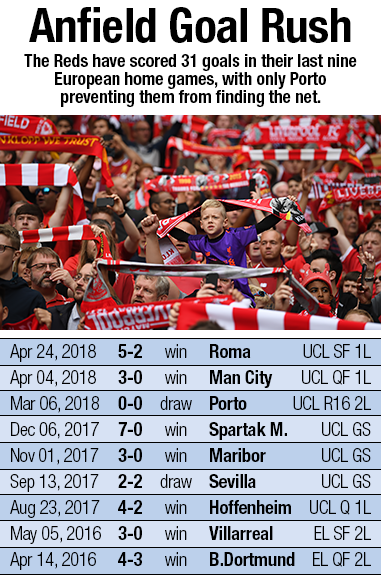 In 14 Anfield clashes with teams from France, Liverpool have won 11, with one draw and suffered two defeats - the losses coming at the hands of Marseille, in 2007, and Lyon, in 2009. Liverpool have lost just one of the last 21 European games at Anfield and are unbeaten in the last 16 at home, winning 11 and drawing five. Jürgen Klopp's men scored 47 goals in 15 European games last season to set a new record for the Champions League. Mohamed Salah and Roberto Firmino struck 11 each and Mane netted 10. It was the first time one team had three players score eight or more goals in a single campaign. If passed fit, Firmino could make a milestone appearance - and also move up to third in the club's Champions League goalscorers list. If the Brazilian marks his 150th match for the Reds with a goal, he will draw level with Dirk Kuyt and Terry McDermott on 12 European Cup strikes, with only Ian Rush (14) and Steven Gerrard (30) ahead of him in LFC's all-time standings. Across all competitions, the front three of Liverpool and PSG scored a combined total of 180 goals for their clubs last season - Liverpool 91 (Salah 44, Firmino 27, Mane 20) and PSG 89 (Edinson Cavani 40, Neymar 28, Kylian Mbappe 21). They have already fired 19 between them during this campaign - so 199 in total; Liverpool 99, PSG 100. Last season in the Champions League both teams broke the previous record for most goals scored in a group stage - Liverpool netted 23, with PSG hitting 25. Salah is two goals short of recording 50 for English clubs during his career - with his first two coming for Chelsea. The referee for this game is Cuneyt Cakir of Turkey. He has taken charge of Liverpool once before - the 4-3 home win over Borussia Dortmund in the Europa League in 2016. The Dortmund coach that night... current PSG boss Thomas Tuchel.